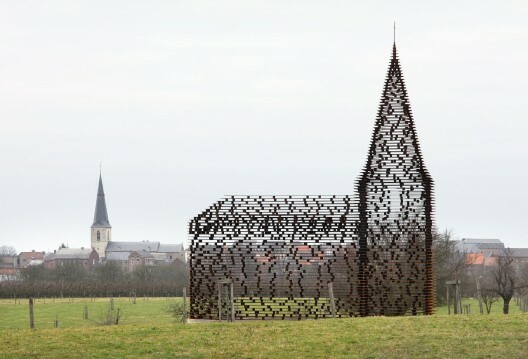 In 2011, Dutch architects Pieterjan Gijs and Arnout Van Vaerenbergh of Gijs Van Vaerenbergh created a steel church, based on the design of the local church in Borgloon, Belgium. The project is entitled “Reading Between the Lines”. 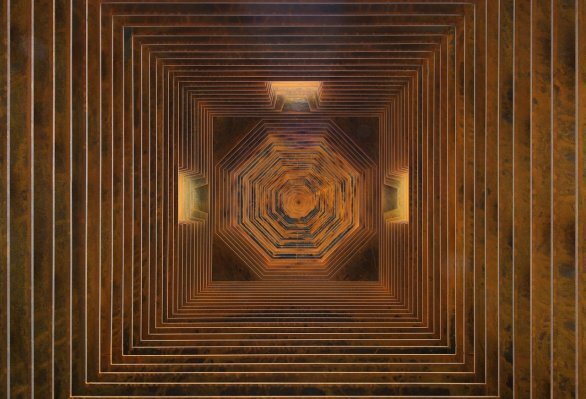 Unlike other churches, this construction is made out of 100 stacked layers of steel and 2000 steel column plates. 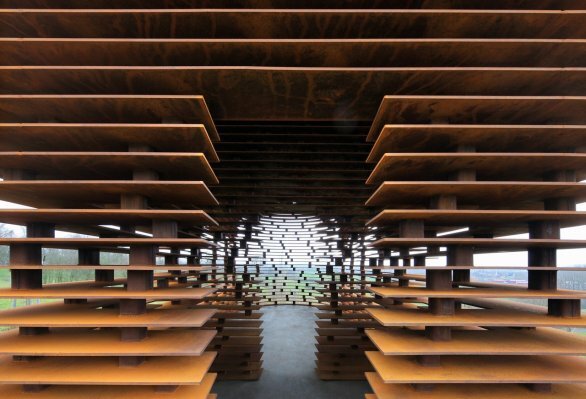 Through the use of horizontal plates, the concept of the traditional church is transformed into a transparent object of art.